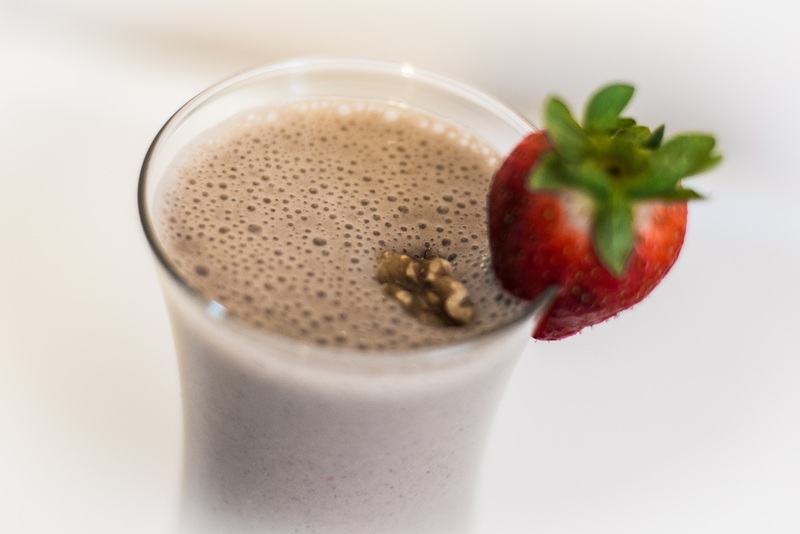 I LOVE my kale smoothie, but I recognize that I need variety in my diet, so this is one of my favorite post-workout smoothies because of the higher protein content. 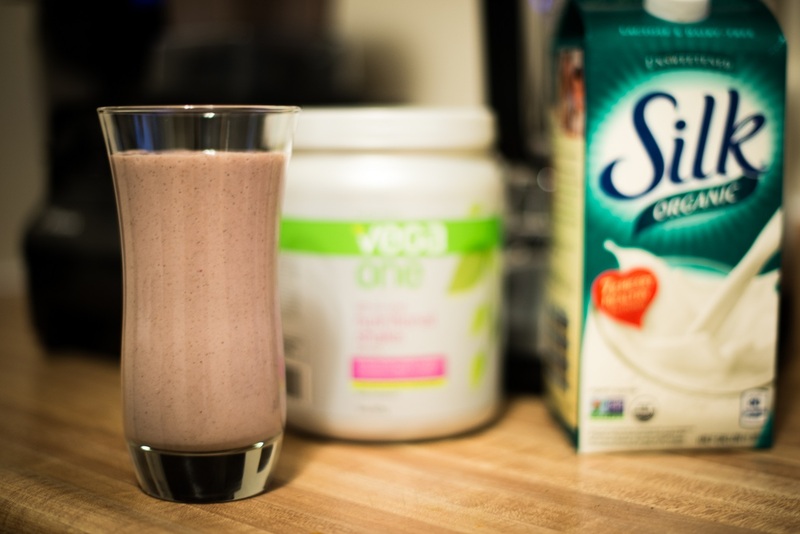 I make it with Vega One nutritional shake powder, but you could just as easily make this without it. The thing that I like about this powder is that it has a lot more than just protein. I’ve never used a protein shake before this one and one of the things that convinced me to try this one is all of the other wonderful stuff that’s in it like vitamins, fiber, greens and probiotics. So far I’m in love with the berry flavor and trying to find the perfect recipe to go with the chocolate flavor. I have a Vitamix (my beloved Vitamix!) so this all comes together with a smooth consistency. If you don’t have a Vitamix, I can’t promise that the walnuts will be smooth enough. You can also freeze the strawberries or banana if you prefer a colder smoothie. I’ve tried this with and without the walnuts, and I have to say that they add a certain depth that is really good and I highly recommend it. And walnuts have lots of Omega 3’s which are really good for you. I have to give credit to my taste tester and photographer for the idea to put walnuts in this smoothie. Serves 1 but it will probably fill a glass and a half. You want to be full until lunchtime, don’t you? Place the ingredients into your blender in the order above so the softer items are at the bottom, allowing the blender to do its thing. Blend for about 15 seconds on high in the Vitamix or about a minute in a regular blender. Sit and enjoy or take it in a to go mug on your drive in to work! This entry was posted in Recipes and tagged recipe, smoothie, vegan. Bookmark the permalink. that how a user can know it. Thus that’s why this article is perfect. Thanks!